We hit the road again with 7 hours between us in Panama City and my Mom in Indialantic, FL, but not before hitting a Krispy Kreme for coffee and donuts fresh off the conveyor belt – yum! My Mom was still living in the house where I grew up, which of course makes it super special! Also, she'd lived there for 55 years! Indialantic is on an east-coast barrier island, south of Cape Canaveral. The area has changed since I left in the mid-80s, but I don't feel like it ever lost its charm. Yes, a few surf access points are gone, replaced by condos or hotels, and certainly there are a lot more buildings along the beach. There's a bit more traffic I'm sure, but it hasn't gone to hell in a hand-basket by any means! You still cross Hwy A1A on foot, playing the human version of Frogger (remember?) dodging cars like we did in the 70's, and the path to the beach from my Mom's neighborhood (Ocean Park) is still there. Actually, that path is deeded to the Ocean Park houses, which is pretty great for a basic middle-class place like that. So the 8' wide sand walkway (see below) between a condo complex and a private home will never go away, and that's really sweet. And there's still the old surf shop on the main road in town, several familiar restaurants and bars, the crab traps in the lagoon, and the loggerhead turtles coming up to lay their eggs every summer. Not bad, not bad at all! This stretch of land is in the greater Melbourne area. Melbourne is called The Harbor City and is on the mainland side of the Intracoastal Waterway (aka Indian River Lagoon). I take that back – it seems the City of Melbourne got a little annex happy several years back and now lays claim to some beachside land but I still think of it as being on the mainland. 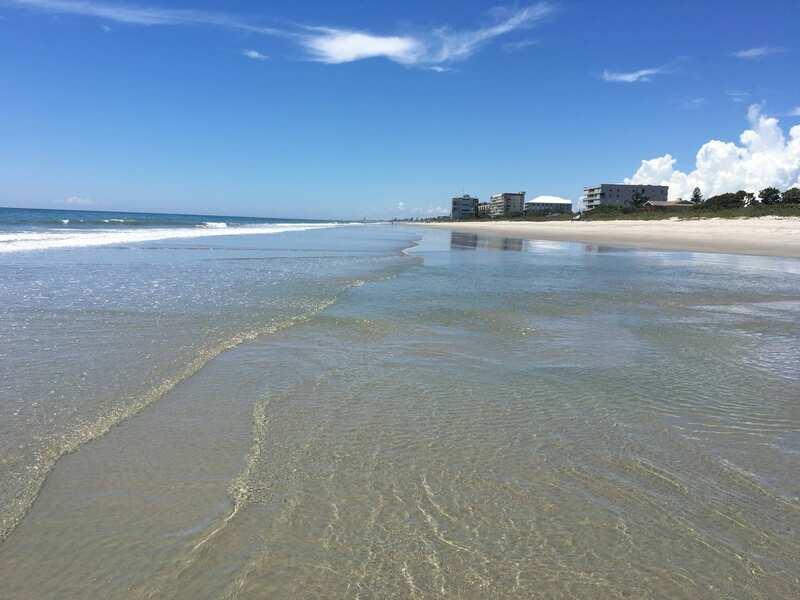 On the beachside, there are many smaller communities with names like Satellite Bch, Indian Harbor Bch, Indialantic, Melbourne Bch, Floridana Bch. The island, which you access via causeways and bridges, is probably 100 miles long, running far to the north and south of this specific area. It has a few breaks here and there for inlets and such; it's only about ½ to 1 mile wide in the area I'm talking about. To the beach of course, SCORE! We drove to my old home and were welcomed by my Mom to stay for the next month. (Depending on who you're talking to, she is aka Granny, Betty Sr., or GG, which stands for Great Grandma!) This was fantastic timing and really couldn't have worked out better. Mom is healthy, but not as mobile as she once was. At this point, she was in the midst of moving to Pennsylvania to live with my sister Betty, selling the house, car, & all her stuff, which sounded eerily familiar. I reckon we were just the right helpers at just the right time! So we tried hard to earn our keep while getting a free ride on rent and other expenses. 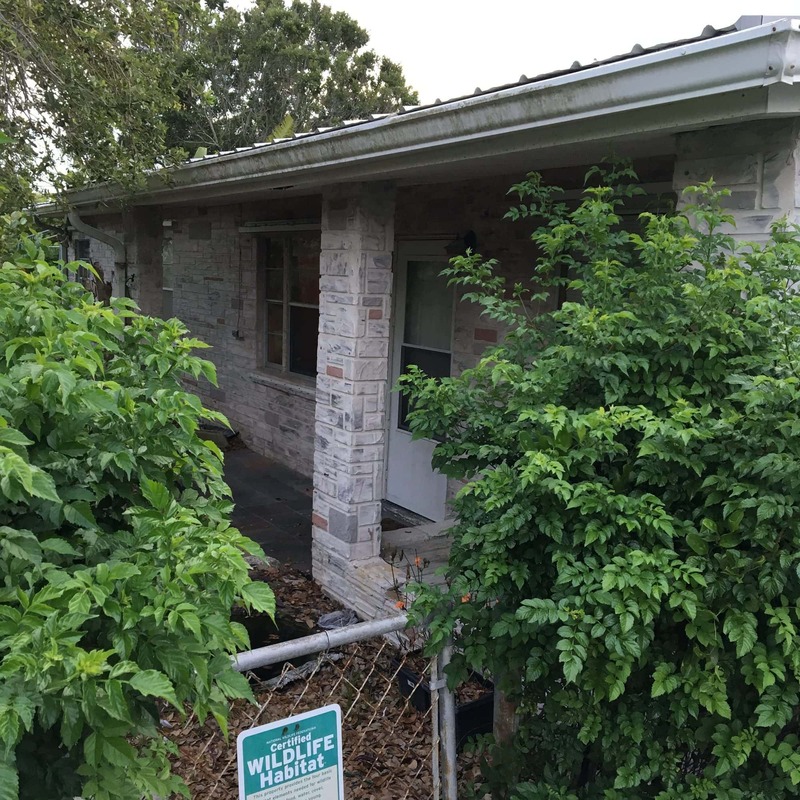 We did some yard-work, cleaning here and there, grocery shopping and general errands, a lot of the cooking, and some prep work for the estate sale (more on the sale later on). We even tried to do a little coaching on the upcoming inevitable “oh crap” period right before the sale. We knew. We'd just lived it. Welcome home, and welcome to the jungle habitat! 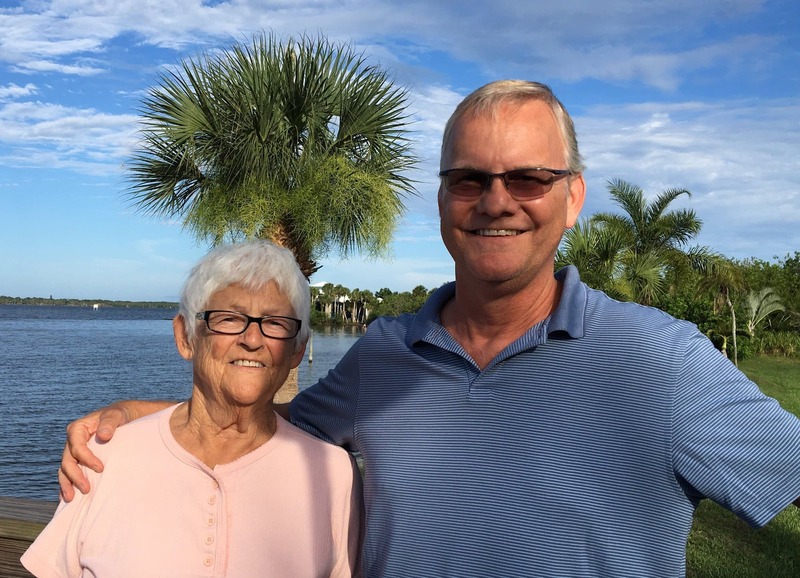 We took Mom out for a (very) late Mother's Day dinner on the water. Beautiful lady, beautiful scenery! We also made sure to make time for ourselves every day. We walked to the beach a lot (I timed it – a mellow 7 minute stroll) and found we really liked it at low tide. 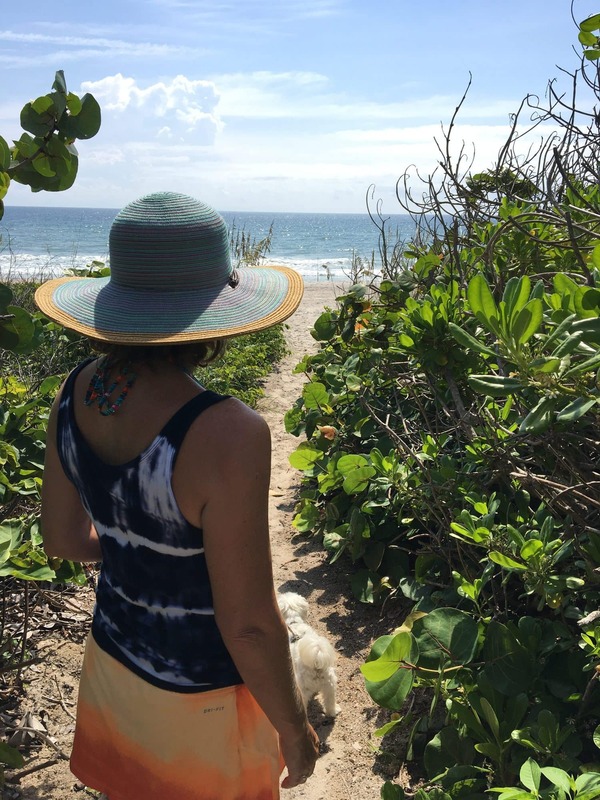 We like to walk, talk, and sightsee and the flatter, wider beach is great for that. We also spent time in the water, just being there. I body-surfed without a care, and Deb learned to get comfortable in the waves. For a Kansas girl, this is a victory! She can now get out past the breakers without getting pounded, and dip under the waves with the right timing, most of the time even coming up without a face full of hair! When we'd come back from the beach, it was a quick rinse of the sand from our feet and more water time in Mom's pool. We liked to go biking around the island, and did that several times a week, usually doing about 10 mile loops. I find it pretty funny now, looking back on my childhood in regards to bicycling. I used to think that everything was so far away around here! When I was 12 or so, I thought I was some kind of superhero for riding my bike all the way down to the ballparks in Melbourne Beach for baseball practice. Now, we get on our bikes, and we're at the beach in 2 minutes; a few minutes later we're on the riverside. Going lengthwise on this long skinny strand, we can easily ride to south Merritt Island one day, to Melbourne Bch the next, all around Indialantic after that, until we quickly start to run out of new places to go. Heck, if we were really motivated, we could do all those things in the same day. And that heroic ride to the baseball field is about 20 easy minutes on the bike! Ha ha, I laugh at my former self! We rode across the big causeway bridge (below) one day and it was also surprisingly easy, the climb over that bridge. 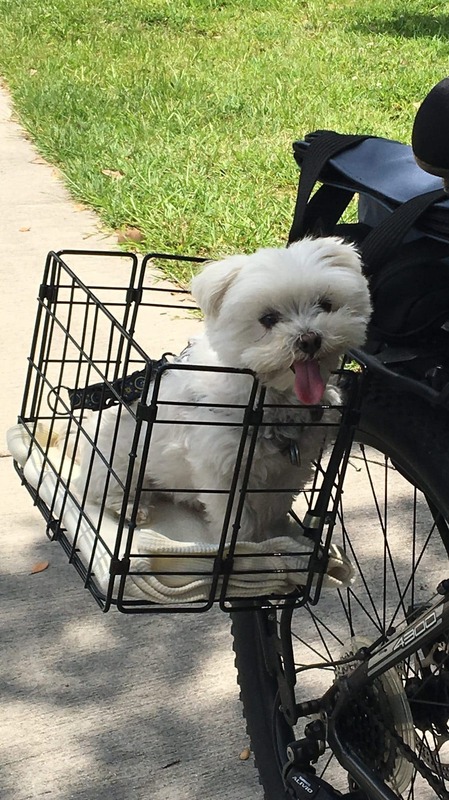 We almost always take our dogs in the saddle baskets for these rides – they love it! They tend to lean out a little bit to get a good breeze, looking like those dogs hanging from the car window but only going 10-15 mph, not 40+ with ears all a-flappin'. The Causeway Bridge - a bit noisy with all the traffic, but an easy pedal. That was the day we saw manatees in a small bayou in a neighborhood in Melbourne, off Crane Creek. I was showing Deb some of old Melbourne and we were just exploring an old neighborhood down by the water. The manatees were awfully cute, popping up their noses for a quick breath and generally showing us how to chill. We also enjoyed lunch at a Cuban restaurant right on the creek, sharing a Cubano sandwich and tostones (fried plantains). It was incredibly hot that day and because of the pups, we could only be seated at a table that was literally in their parking lot (on the edge of it). Lots of ice-water and sweet tea helped out with that, but we were drenched. Also to stay cool, in our free time we managed to find a couple of good brewpubs in Melbourne: the HellnBlazes and Intracoastal breweries. I know that's shocking news, that we found breweries and we've been to both of them more than once! HellnBlazes is in old downtown Melbourne and has a beautiful layout and décor. I liked their beers quite a bit, but Deb was less impressed. 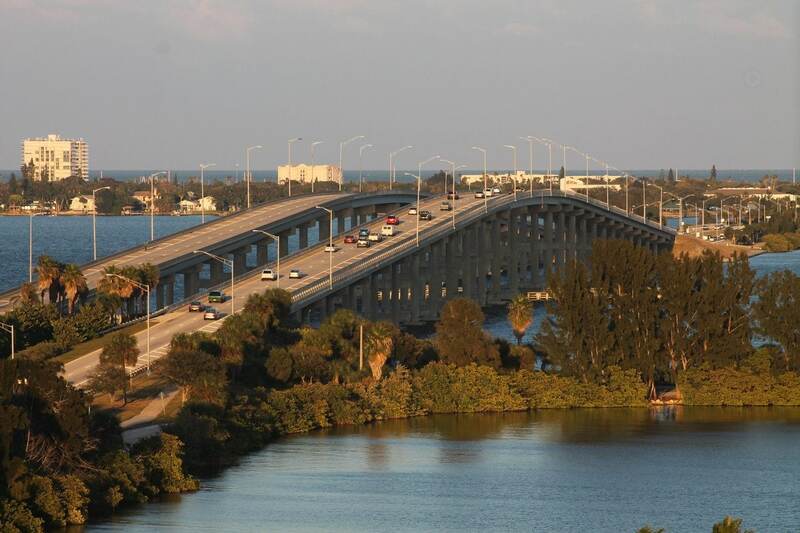 Intracoastal is on the Eau Gallie Causeway road, also on the mainland side. 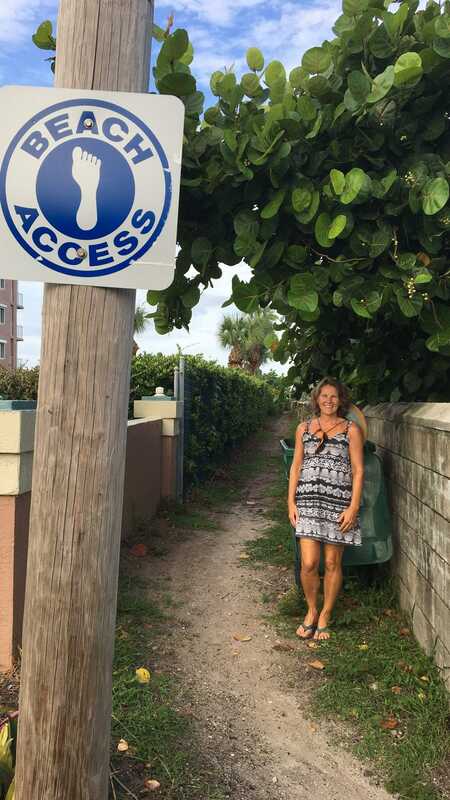 Deb loves the side streets around there, with names like Pineapple, Avocado, and Guava, makes her feel oh so tropical. Even though we missed the Bacon Fest (yes, they had a bunch of different bacon beers) we both really enjoyed their selection and their picnic tables, inside and out. Another thing we like is how dog-friendly they are, and people-friendly too! So, why is it called the Space Coast? The next post will explain. Thanks for your newsletters! It’s great to read about your new retired life – you guys seem so happy. Grateful to witness what it will be like for us someday. I’m happy for you and Deb, you guys are the perfect, young, retired couple! Thanks Mark, you’re very kind! I hope you’re right around the corner on your retirement, but even if not, give it hell while enjoying the ride! Reading your stuff puts me in the road trip frame of mind where time gets longer, more stuff happens but you’re in less of a rush. You guys do look happy and relaxed now that the hard stuff is over. Loving living this life vicariously. Have you thought about the great circle trip by motor boat up the intercoastal to Quebec, then great lakes, Chicago, down Mississippi to the Gulf? Most buy and sell the boat in FL. Thanks Paul! I’m enjoying the music too! I think your budget spreadsheets are probably already "Raymond-approved" by now! I’m so happy for you both! Love the way you tell a story, Norm. Truly living the dream! Thanks Deb, I really appreciate that! Sometimes I wonder if it’s really just (my) Deb’s dream, and I’m just here to drive the boat! LOL, JK, we are partners in every sense of the word. Glad you’re enjoying it. Deb,It really is a dream come true! Everytime we walk by the water, I just can’t believe it’s happening! I love where the rolling wave meets the beach. I am grateful everyday! This blog is gonna be Yuuuge! Why the hell was this titled "The Space Coast?" Patience grasshopper, and all will be revealed! We miss you too!